Beach View is an exciting new gated apartment complex located on the famed West Coast a few minutes from Hole Town, boasting wonderful restaurants, duty free shopping and watersports. Elevated sea views and beaches of Paynes Bay. 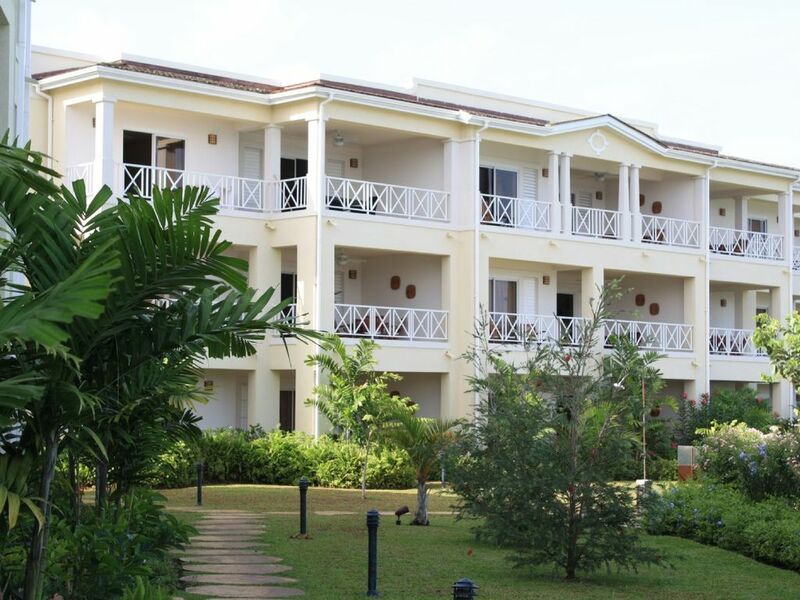 This 3 bed (air conditioned) apartment has spacious open plan living areas with highly appointed kitchen and 2 modern bathrooms, rooms come with ceiling fans to compliment the natural Caribbean breeze. one Master bedroom with ensuite, one Super King and one Twin Guest rooms. Three covered terraces for outdoor living overlooking the sea beach and pools. This beautiful location is one of the best on the Platinum Coast right by the Cliff Restaurant and a short walk from the famous Sandy Lane Hotel. This exceptional luxury apartment is only 20 minutes drive from the airport, and has a local bus stop close by. Suitable for family or romantic holidays. All bathrooms are to a very high modern quality enjoying materials like granite, crome, plate glass. The ensuite has a luxury shower to challenge some of the finest hotels, sink and toilet. The family bathroom has a bath with glass screen for showers, sink and toilet. Low voltage lighting. The open plan Kitchen is fully equiped with top American appliances , fridge freezer with ice maker, microwave, oven , hob granite tops ect. Washing facilities are in the laundry room complete with tumble dryer. In the lounge there is modern sofa seating with a sofa bed. Satellite TV watched on a wall mounted 46' screen. All elegantly lit by low voltage lighting and lamps. Broadband is available if required. The lounge opens out onto a large balcony where you will enjoy most of your meals and times of relaxation overlooking Paynes Bay and magnificent sunsets. Large, spacious apartment. Easy access to Holetown. Quiet. On site cafe is nice when you only want something light. The apartment is perfect and I would highly recommend if you are looking for a well equipped, top quality furnished self catering apartment. It is ideally located just across the road from a lovely little beach with The Cliff and Cliff Beach Club just around the corner. You are spoilt for other lovely restaurants on your doorstep:- Daphne's, Cariba and Scarlets. Holetown is only a 20 min or so walk away, but there are plenty of taxis and an endless supply of buses. We will return. Thank you Simon. The place is good but at this point needs some very minor attention to maintenance. Construction across the parking lot was loud and disturbing at times. Also the road and bus stop is directly below the pool so this is not a serene beach experience. The beach however is very approachable for unathletic swimmers and the reef off the fish market is very good for snorkeling. Good location on Barbados in general despite the constant construction and the congestion associated with development on the west “platinum” coast. For my sixth trip to Barbados this is a good family place at this price point. All in all a very good apt on a great island. Security is adequate at this complex. Barbados is a special place in the world. The advantage to this type of accommodation is the kitchen where the value is made up for compared to staying at a hotel and spending at restaurants. I almost didn't want to write a review!! The apartment is a really fantastic top floor apartment and is very spacious, clean, great location and everything you could possibly want to make your stay comfortable, including washing machine / tumble drier and full kitchen. The views from all the balconies are to die for. There is a little hut on site selling breakfasts and lunch, and every Monday evening has a BBQ. I am so pleased you have had a great time. Thank you for your kind words and we look forward to welcoming you back soon. Everthing exceeded our expectations.My daughter and i had wonderful safe vacation thanks to Simons wonderful beach property .Every review was accurate and precise as well as the description of the property.We personally experienced the fresh fish, jet skis ,sea turtles, (omg) the cliff,delicious dining,fresh fruits and vegs,beer and wine, entertainment, lovely beaches, walking distance from suite.Thank you Simon for helping create amazing memories for my daughter and I. This Tropical Island has tree lined beaches, a true paradise in the sunshine- perfect for relaxation. This exotic location is stunningly located by the sandy beaches of Paynes Bay, the most beautiful bay in Barbados home to the Sandy Lane Hotel. Long stretches of sandy beaches for romantic walks or endless fun for kids. All the ingredients are here for a trip of a life time. The area offers a wealth of facilities, swimming, snorkeling, diving, horse riding, POLO, horse racing, world class cricket in close by Bridgetown. Go sailing , hire a catamaran and go swimming with turtles. If its luxury then treat yourself to many Spa experiences or go high dinning in some of the worlds finest restaurants. Lying on the beach, long lunches or having your favourite drink watching the sun go down its all here in St James Barbados. For those who like shopping there are great boutiques in Hole Town or many duty free shops in Bridgetown if its a new watch or diamonds you are looking for. Please call for only using only 2 bedrooms as rates are negotiable, one room would be locked off but this would leave 2 sea view bedrooms. A 30% deposit is required all in Dollar/Sterling currency.